The latest news that Dengue type 5 was identified, after analysis of samples from Asia, caused surprise and a series of questions. For Dr. Pedro Tauil, physician, entomologist and post-graduation professor in Tropical Medicine at the Brasilia University (UnB), this is an important discovery that has another complication factor, both for clinical aspects – the possibility of more than one infection – as for it control through vaccines, which is being developed only for the four known types. Data on the disease´s type 5 were presented in a conference, that took place in Bangkok, Thailand, in the end of last October. The discovery occurred when scientists from the Texas University received samples from a Dengue Fever epidemic in Malaysia, in 2007, and found a completely different type. The doctor in Tropical Medicine explains that this sorotype was recently identified, but the material collected that year was stored in laboratory. “However, in the published article, there is no mention regarding the clinical picture from the patient from whose serum this serotype was isolated. Since the previous infection by another serotype is a risk factor for severe dengue forms, the finding of a fifth serotype can increase the risk of new severe forms in patients already infected by the other serotypes”, observes while forwarding that no reference that this virus could be more or less virulent than the known types. For the scientist, the discovery will practically force the restart of all studies already in course for a long time. Dr. Tauil believes that if this new serotype’s infectivity towards humans is proven, the vaccine in development will have to be reformulated, in order to include the protective antigen against this new serotype. 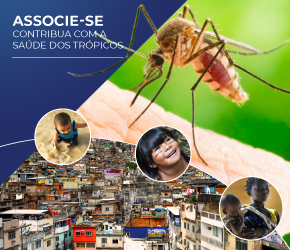 Since the vaccine against the other four dengue types that occur in Brazil is not available, the prevention, avoiding the mosquito’s proliferation is the only alternative. For the specialist, the discovery could hamper the development of a vaccine, once a quintuple vaccine would be required if this new serotype is proven to be able to strike humans. “If it is proven that this serotype is able to circulate in humans, the future vaccine must include the antigen against this serotype as well”, remembers. For now, the type 5 is circulating only in monkeys in Malaysia’s forests and only one human case would have been detected. Questioned about the possibility of new cases, Dr. Tauil says it is still possible, thus, it is necessary to keep laboratorial surveillance. “We still don’t know if its infective capacity exists for humans or if the confirmed case was isolated, an exception that never happened again”, stresses. 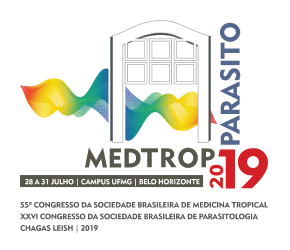 Regarding the risk of this new dengue type coming to Brazil, Dr. Tauil clears that the discovery is recent, and according to the article, this serotype was only detected in the disease’s outbreak in Malaysia, in 2007. “It is possible that it is currently circulating only among monkeys in that country”, balances while stressing the need to be alerted. “The reference laboratories from the Health Ministry, among them the Evandro Chagas Institute in Para, the Oswaldo Cruz Institute in Rio de Janeiro and the Adolfo Lutz Institute in Sao Paulo, must be ready to diagnose this virus here in Brazil”, adverts the specialist. Could the discovery increase dengue cases? The annual incidence is estimated in 390 million dengue cases, according to a study published in Nature’s April edition. To this point, people can only develop four infections by the virus. “If this new serotype proves to be a fifth type among humans, the number of infections must rise”, advances Tauil while highlighting the importance of keeping clear that Dengue incidence estimations are always underestimated. “Many oligosymptomatic infections are not computed”, finishes.